They won with a final score of 42 to 19. Fans were cheering and jumping out of their seats with all the touch downs, field goals, interceptions, and tackles our boys were making. Great job on the win guys! 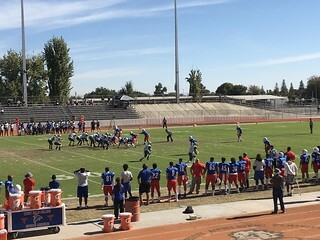 Our football team play their last game of the season on Saturday, November 10th, at Fresno City College. The game starts at 1pm so come on by and cheer on our players. Gooo falcons!